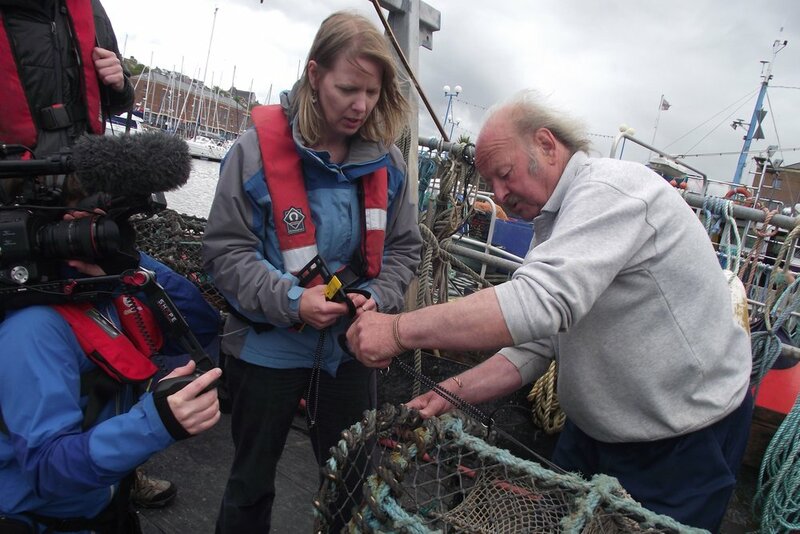 The Pembrokeshire Sustainable Shellfish Initiative in Wales, UK, recently concluded a pilot project that demonstrated that practical modifications can be easily incorporated into lobster pots as effective means of minimising ghost fishing. The project aimed to raise awareness and understanding amongst the fishing industry and coastal managers of the environmental and economic issues associated with ghost fishing of static gear, and of voluntary measures to improve fishing sustainability. Anti-ghost fishing mechanisms utilise ‘weak links’ in the gear that, after biodegrading, create a structural flaw in the fishing pot and allow the escape of trapped animals. Pot hooks modified with Ghost Buster hog rings (made of annealed steel and designed to last approximately 12 months) were tested in the pilot trial and deemed a success from the fishing industry point of view. Incorporating a biodegradable element to a drop-out panel or escape hatch is more commonly the mechanism by which ghost fishing is usually minimised. The pilot found that participating fishers were keener on the biodegradable hooks as a failing escape hatch is more easily overlooked and can result in loss of catch. Divers in Pembrokeshire found that in recently lost pots ghost fishing can occur. From the contents recorded in some of these pots, the data showed a high number of target species trapped. Such catch impacts the sustainability of local fisheries and pose an economic risk to fishers. Also noted was that pots may become too damaged after longer periods of time and be unable to retain any catch, and the environment plays a role in the severity and duration of ghost fishing. Testing voluntary proactive actions to improve fishing sustainability, and the sustainability of the environment upon which fishing is wholly dependent, has provided experience to help inform future Welsh fisheries management to move toward a hopefully more prosperous and resilient Wales. Click on the links below to view the report documents.